When treatment has failed to cure prostate cancer and the disease has reached the advanced stage, patients are usually offered palliative care which places emphasis on your physical, psychological and spiritual needs rather than trying to cure or control the cancer. The goal is to improve the quality of life for both the patient and their family. However, despite how vital palliative care can be to patients with advanced prostate cancer it’s often a misunderstood component of comprehensive cancer care. So with that in mind let’s take a look at some of the common myths associated with palliative care. Fact: Although palliative and hospice care share the same principles of comfort and support, palliative care begins at diagnosis and continues during treatment and beyond. Palliative care is not synonymous with end-of-life care. Fact: Palliative care is about quality of life, not end of life. It provides comfort and the best quality of life from diagnosis of an advanced illness until end of life. Fact: Palliative care is given in addition to your current prescribed treatment. It will continue to be provided to alleviate your symptoms and emotional issues throughout the course of your treatment. 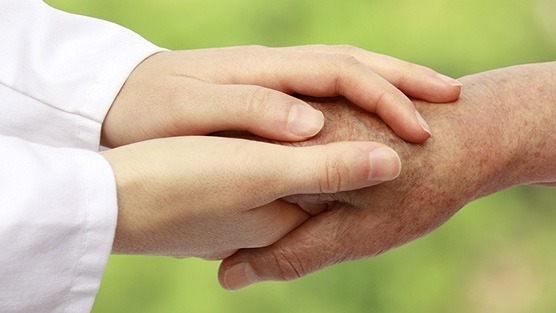 Fact: Palliative care is also designed to help the family and friends of the person who is ill. Fact: Pain management is a vital component of palliative care to ensure the patient isn’t suffering from their condition or symptoms. Pain is mainly managed by different medicines such as morphine. Fact: Patients with advanced illnesses don’t experience bouts of hunger or thirst as healthy people do. Those in palliative care who stop eating die of their illness, not starvation. Fact: Palliative care ensures the best quality of life for those who have been diagnosed with an advanced illness. Hope becomes less about a cure and more about living life as fully as possible.